I want to beat the total I raised for 2017. 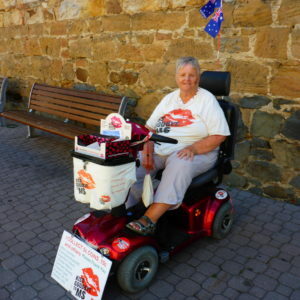 I am always fundraising, my scooter caries a box of merchandise. You can find me every Saturday near Banjos at Salamanca Markets and when there is a cruise ship in port I can always be found nearby. WHO WILL YOU DONATE TO? You used when your campaign was created.